After the first week or so of spending time acclimating to the local environment and meeting with our future community partners here in Neltume, our group finally settled into the work we will be doing for the duration of our time here. 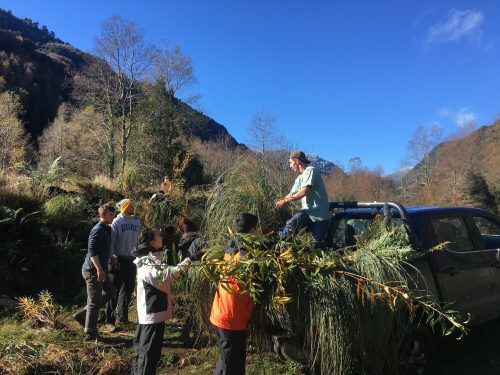 The goal is two-part: to partner with local artisanas and small businesspeople to promote their products and services and to make an impact on the scientific community of the Huilo-Huilo Biological Reserve. There are two main tasks we have as of now to help the locals with their businesses. The first is to create different webpages with information tourists at the Huilo-Huilo hotels can use to locate different artisanas and to know what products are for sale. The hope is to increase the economic gain of the local area through the numerous national and international tourists that come to the area, especially in regard to promoting and empowering local women. 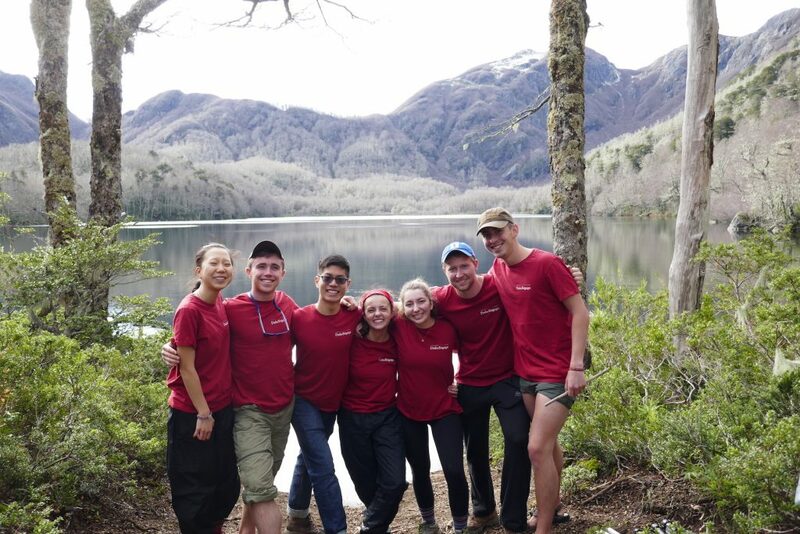 The second is to help with the Huilo-Huilo Foundation specifically, translating different documents and informational pamphlets and to correct past translations done by non-native speakers. This is to not only promote the tourism in the area through the preserve, but to also teach those that visit about the local flora and fauna and how they can make an impact in their conservation. 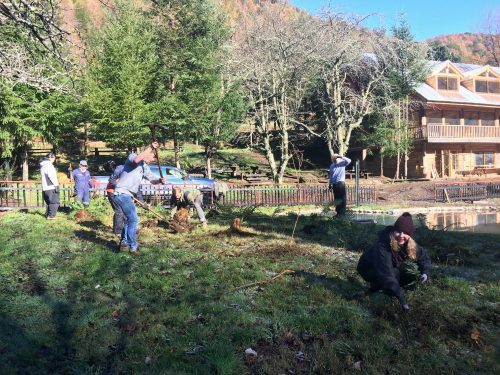 Our group working to plant plants near one of the Foundation’s outposts. We transported the plants there by truck and then planted them according to Veronica’s oversight. Pictures from the day at the lakes. 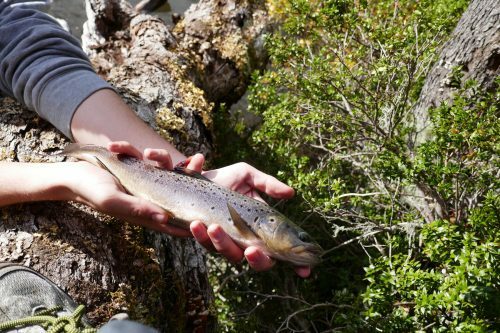 We were able to catch some brown trout and complete all of the tests we planned to do. Great job Aubrey James; you’re a star!!! I am so glad that you are getting your hands dirty, Your post really gives me a good picture of what you are doing and the challenges ahead. I wish for you a wonderful summer. Thank you so much for the warm wishes! I’m glad you enjoyed the post. We’ll keep updating everyone on our progress every week!